Ian, bottom right of your big group picture, what are those Busse cleavers?? 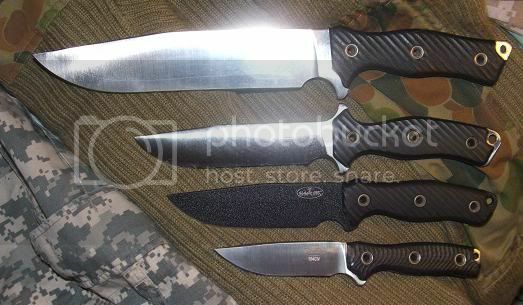 They are "Nicks" cooks knives, one is a XXXNick, it has the 1/4 inch thick blade, and is really a cleaver, the other is quite thin stock and is a great carver/slicer. They were a special run, and as the rumor goes, the thick ones were a mistake. But they really are a great kitchen chopper. Thanks bud!! Man, finally the stars aligned and a Mastiff is coming home to Papa, ha! 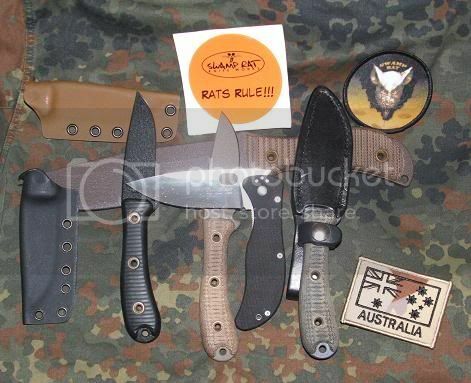 Check the blade length when it arrives, it might be Rat Daddy, not a Mastiff. I took a look and think it is a bit short for a Rat Daddy, just the looks of it, it is a Mastiff. Here are the three of them together. There's not a lot of difference between the Mastiff and the Daddy, in length. You're probably right Ian, I've seen the pic on my phone. 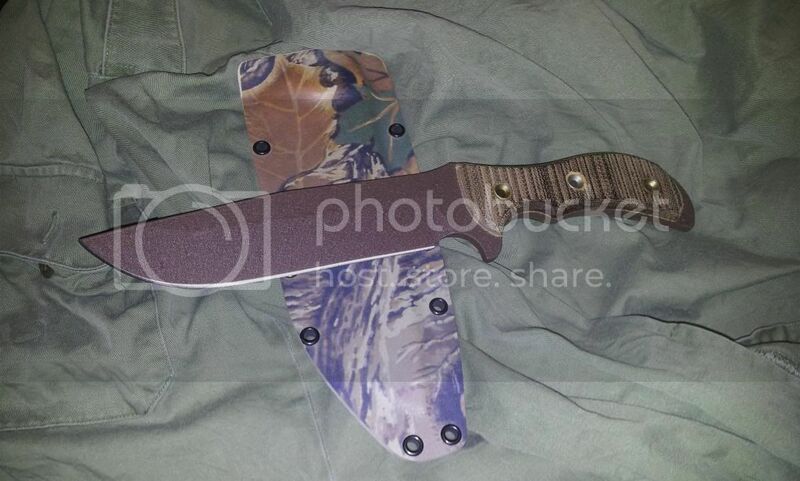 I am most certainly going to need a sheath for it Elof, so if you're offering, I'm accepting I'll double check the length when it comes in, just to be sure. Ian has all the good ones! Mr. Magoo, the quite achiever might give all of us a shock. 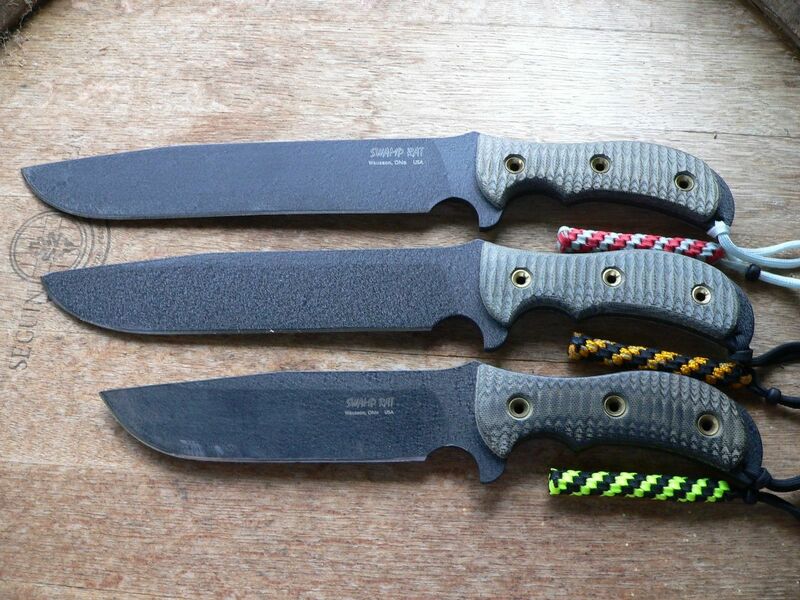 Believe it or not, I don't have many old Swamp blades. I think my Hairy Carry and my M9LE are the oldest. Maybe my Ratweiler. Or the Rat Trap. I could think of a couple more. Crash Axe and the little Hatchet. With the investment in tools I might as well try and sell something... As an added bonus to you, with the crappy exchange rate, it'd cost you 25% less to get stuff from Au now. Oh yeah - forgot about them. Better dig them out....lol.